A genius combination of ski jumping and bungee jumping… If you’ve ever seen a ski jump, you have a good idea of how it begins – soaring down a 30 m ramp on skis. In this case, however, someone’s whipped away the floor to reveal a 40m drop. Launch yourself off, somersault in the air, or just flop over the edge. 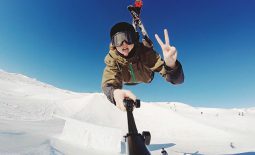 “Ski Bungee Jumping” – Genuis! 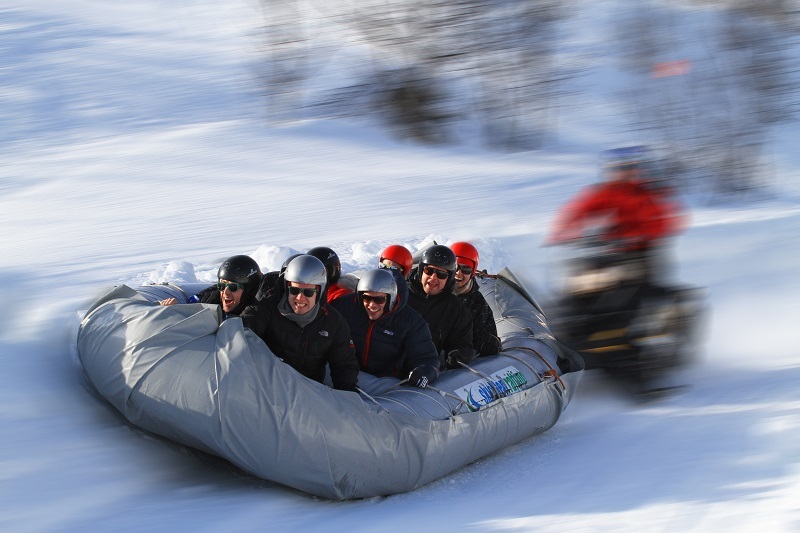 For a team building exercise or a family thriller, we can’t think of anything better, or more teeth-grinding than being pushed down a precipitous piste on one of Beitostolen’s unique inflatable snow rafts. Hoisted up on the back of a snowmobile, the tables are turned at the top as the snowmobile thrusts you screaming down to the bottom. If you’ve always dreamed of flying, but haven’t quite managed it yet, make your way to the Jungfrau’s First Flyer for a taster. 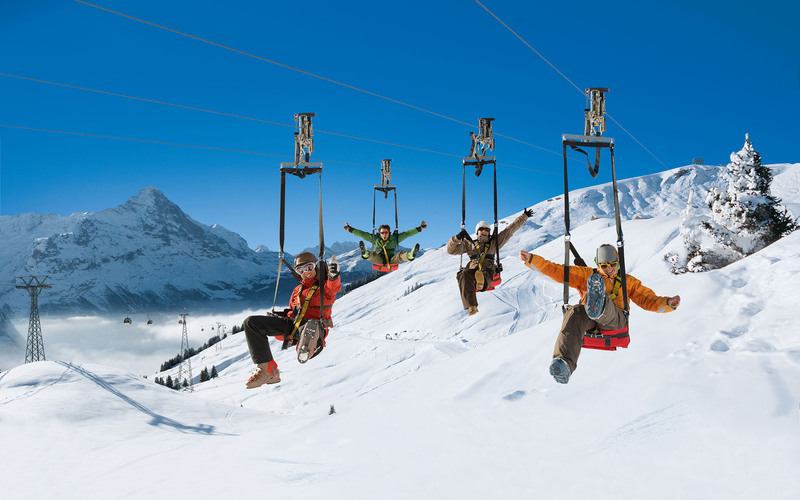 Once you’re strapped into a harness-like seat, the gates open sending you hurtling down a 800m zipline, past the cable cars towards Schreckfeld. Unlike traditional wires – several cables side by side mean families and friends can soar down together like flocks of birds – screaming and squawking through top speeds of 50mph. You try something similar in The Three Valleys – the Tyrolienne links Orelle and Val Thorens for a breathtaking glide across 1300m at over 100km/h. Park City also has a cracking Alpine Coaster, where you can control your speed over four thousand feet of curves, loops and bends. If you remember the feeling of gliding down the road on your very first scooter, you’re half way to capturing the joy experienced on the snowscoot, essentially a scooter on snow. 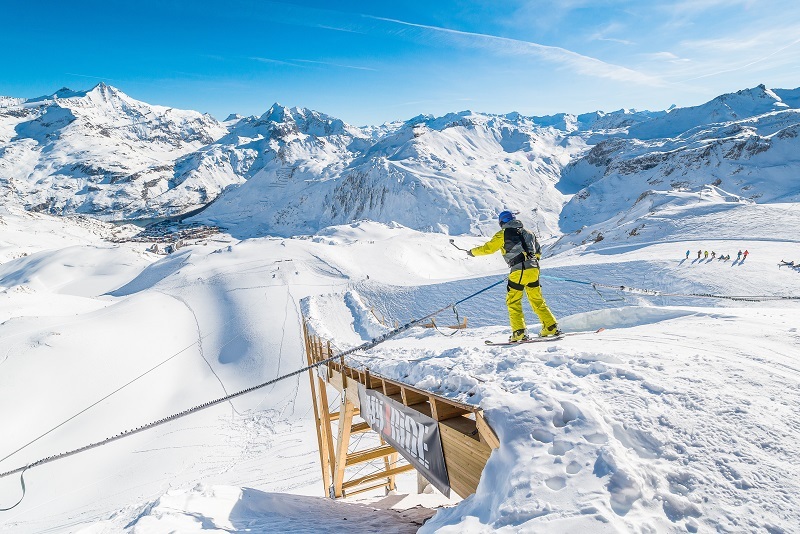 Much like skis or boards, if you have a taste for danger, you can use these to jump off ledges and try tricks on big bumps – Crans Montana even has a special course. Once you’ve graduated from those, you may consider trying out for the Snowscoot World Cup championships. You can also scoot down pistes in Tignes, Avoriaz, Les Gets. 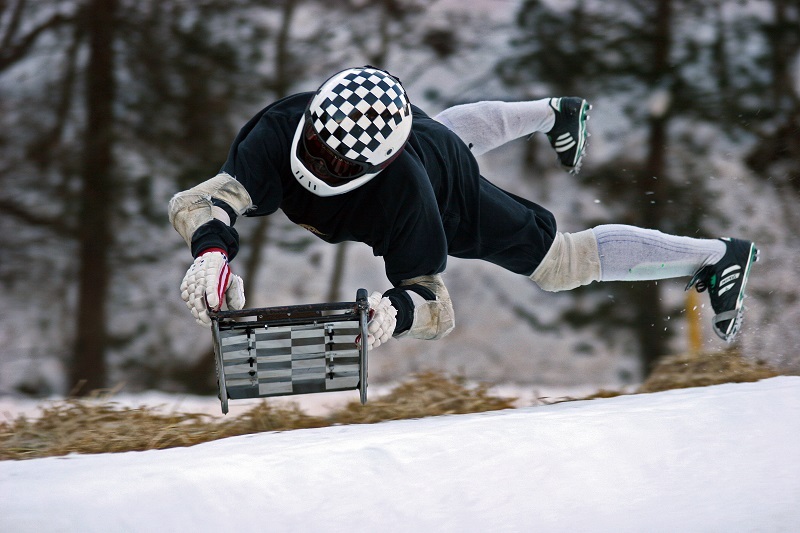 If you’re looking for an adrenalin overdose, the Cresta Run is the surest way to do it… Though it’s the exclusive territory of the private St Moritz Tobogganing Club, you can apply for a one off permit to tackle the terrifying 1200m descent. Unlike a bob run, in which you fly down feet first, the Cresta involves hurtling down head-forward using rakes on the end of special boots to brake and steer. 82.87mph is the latest speed to beat… we can only hope your insurance is expensive. 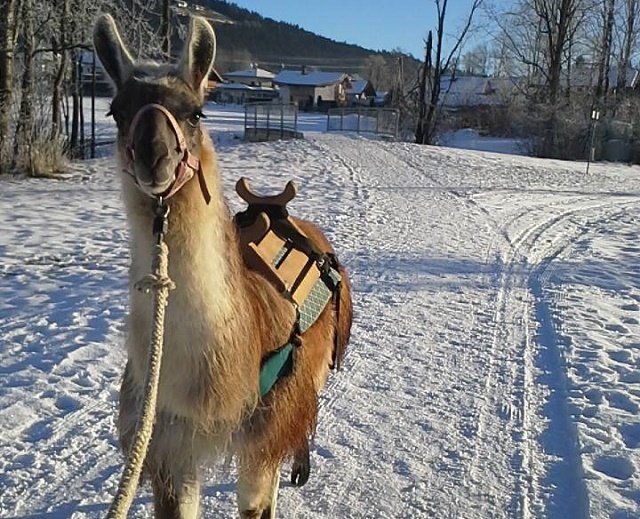 The Wilder Kaiser’s weirdest and wooliest winter activity: ‘Llama Mother’ Ruth farms award-winning llamas and leads hikes from the family farm, where you can join Bruno, Leonardo, Josef et al on an amble through the winter landscape before returning to the farm for a steaming cuppa. The Segway is having something of a moment across the Channel. Keep your eyes out for individuals whizzing around, cackling as they cut you up on the pavement (as well as on the piste). There’s only one thing to be done for it – get yourself a set of wheels and pursue! Even without an arch nemesis to avenge yourself on, we can see why segways have such a following. Moliboard provide night tours, guides and an entertaining way to discover (or rediscover) your favourite sights in Morzine like the the Montriond lake and Praz de Lys. 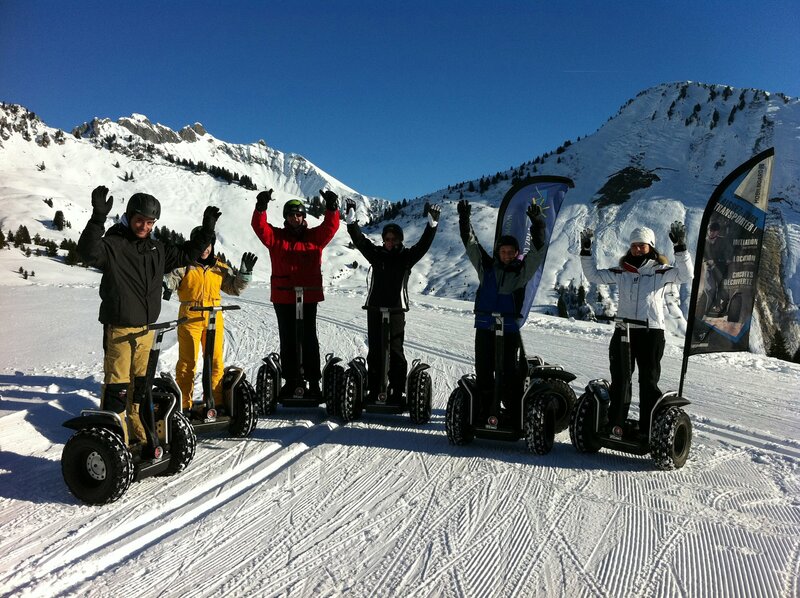 Val Thorens, Courchevel, Les 2 Alpes, Westendorf have also stocked up on Segways. 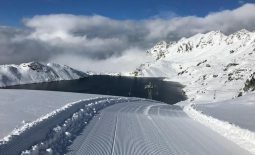 A resort known for its firsts, St Moritz has gone and done it again – dedicating the world’s first yoga piste, the Paradiso near Corviglia. If your chakra’s feeling a little off centre, or your chi needs topping up, make this your next resting place on your journey that is life. There’s nothing like saluting the sun while gazing out over frozen panoramas. 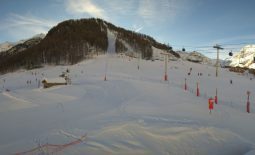 The Suvretta ski school run weekly sessions here to teach you your Om from your Virabhadrasana. Long transforming family trips to the seaside, the rubber ring is taking its turn on the snow. 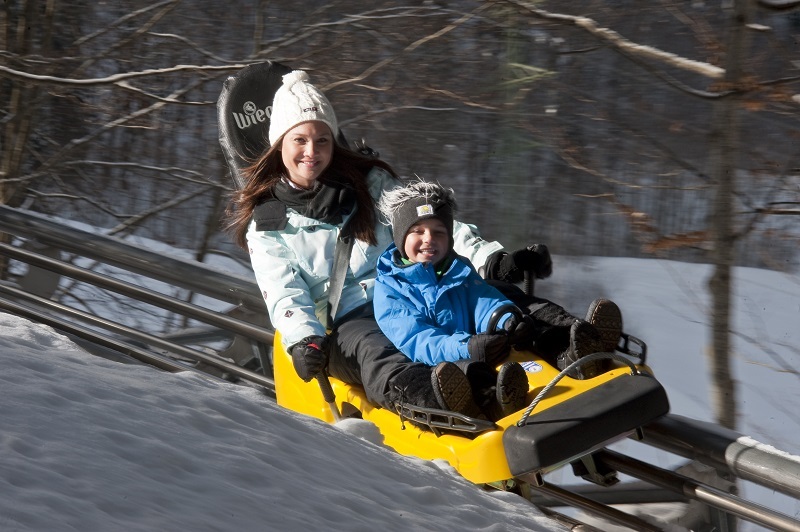 Sitting or lying, facing forwards or backwards, tubes and snow are a recipe for hours of fun. 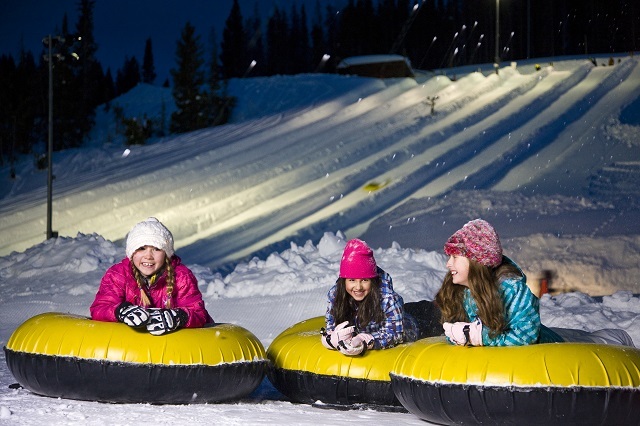 You’ll find snow tubing all over the Mountains in Italy, France, Switzerland and the US of A, where some of the best is in Vail’s Adventure Ridge Park, which stays open late. Forget summertime bicycle rides: the Fat Bike will see you swooping down snowy mountains in the deep midwinter. 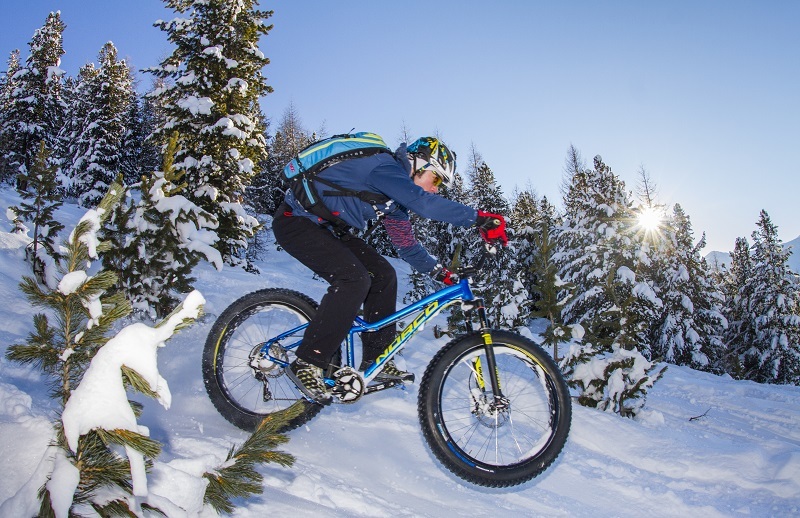 With a 20km cycle path specially dedicated to the cycle, special “fat bike tours” and nightime expeditions, Livigno draws more mountain bikers these days than it does duty-free shoppers. 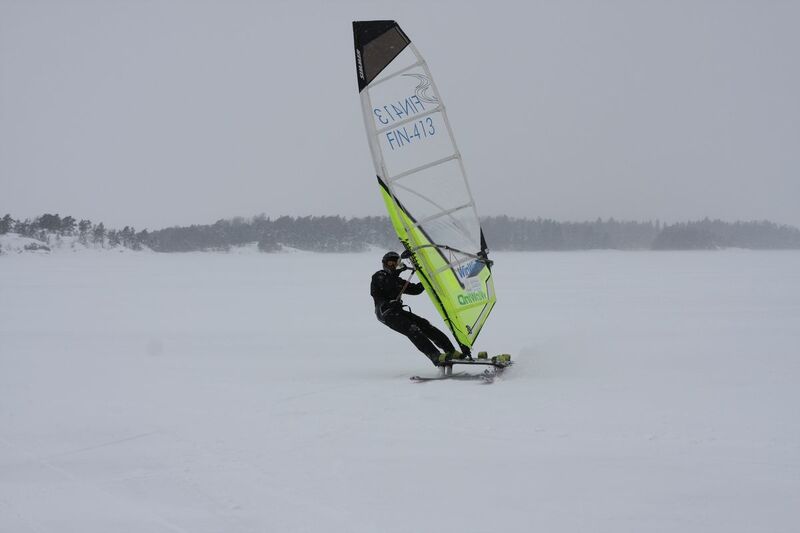 Throw caution to the wind with the Talvisurf school in Yllas, making use of the power of north easterlies and south westerlies to propel yourself across a frozen lake. The basic techniques are essentially those of windsurfing on water, but considerably easier since you don’t have to contend with a “tipping effect”. You’ve no excuse, therefore, not to sail round at the end of the day, when your 4 hours of training are put to the test in a class race. 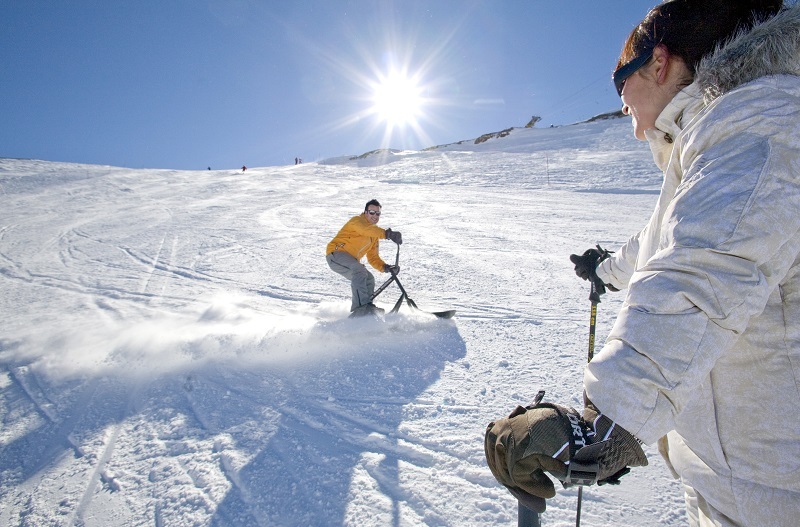 How-To >> Get Ski-Fit in Style	It’s SNOvember!